WWF-Malaysia seeks the services of consultants for the evaluation of Peninsular Malaysia Terrestrial Conservation Programme. WWF-Malaysia is currently seeking the services of a consultant for the Peninsular Malaysia Terrestrial Conservation Programme (PMTC). WWF-Malaysia is currently seeking the services of consultants for the evaluation of a conservation programme. 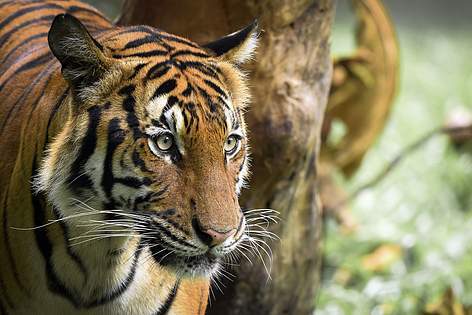 WWF-Malaysia seeks the services of consultants for the evaluation of Peninsular Malaysia Terrestrial Conservation Programme - approx. 45 days (9 weeks) across January - May 2018. The main purposes for these evaluations are (1) to provide WWF and programme stakeholders with an independent assessment of the achievements and key factors that have promoted or impeded achievements of the PMTC Programme towards its objectives and progress made towards its long-term goals; (2) to provide recommendations for the next phase of the programme in relation to priority setting, strategy development, resourcing and monitoring. To provide recommendations on further improvement of the programme in terms of design and relevance, efficiency, effectiveness, impact, adaptive management and sustainability (what we should continue or stop doing, instead of starting something totally new). This evaluation will focus on six evaluation criteria - design, efficiency, effectiveness, impact, sustainability and adaptive capacity. The definition of these criteria and some guiding questions are listed here. The evaluator can also propose different questions, based on his/her judgement on suitability, feasibility and other considerations. *Internal survey can be conducted prior to the evaluation to gather quantifiable data for the evaluator to design a more specific set of questions for the interview sessions. A final evaluation report including feedbacks from the presentation and comments from reviewers (end of April). A presentation of final evaluation report to the senior management team of WWF-Malaysia and key PMTC programme officers (mid of May). A team of two consultants will conduct the evaluation between early January 2018 and end of May 2018. The assignment is for approximately 45 person days (~ 9 weeks) during that period (split between the two consultants on roughly equal basis). The assignment will require travel to the different field sites of the programmes and to the offices of external stakeholders. The internal and external interviews, and field visits will take approximately 25 days (5 weeks) to complete. Programme staff will help in arranging meetings, accommodation and transportation (for field visits and meetings at project sites). Where possible, the arrangement of interviews (in individual or group basis) should be discussed with the consultants. Selection of the consultants will be done by the steering committee and will be based on the familiarity of conservation issues, policy and economic systems in Peninsular Malaysia, technical knowledge relevant to the programme, experience in evaluation, evaluation timeframe and cost provided by potential candidates through their expressions of interest for the assignment. The consultants will be expected to take complete responsibility for all the activities identified in the TOR. Consultants must submit the Expression of Interest as a team of two evaluators. What specific expertise, experience, and capacity you can offer in relation to this evaluation? How familiar are you with the wider context and systems of where this project operate? What do you know about the Open Standards for the Practice of Conservation and its relation to evaluation? What are some of the insights you gained from previous evaluation experience and how have these influenced your proposal? whether or not you / your company is currently providing any services to any project(s) within WWF-Malaysia; if you are, please state the project name and the duration. whether or not you are currently attached with the government; if so, please state name of department/institution. whether or not you are related to a staff / board member of WWF-Malaysia; if so, please state name(s) and relationship. whether or not you are an ex-employee of WWF-Malaysia; if so, please state employment period. Interested candidates should submit their responses to my.pdm@wwf.org.my. The subject should read: Evaluation of PMTC - YOUR NAME/ORGANIZATION NAME. Deadline of submission: 1 December 2017 (Friday).